The Woodlands, Texas – Bridging the gulf between rock n’ roll and classical music, the Houston Symphony performs The Music Of The Rolling Stones at The Pavilion on Friday, September 2 at 8 p.m. Conductor/arranger Brent Havens takes the podium to present Windborne's The Music Of The Rolling Stones, a program he scored to extend the listening experience of The Rolling Stones' exceptional tunes. Performed by an orchestra and amplified with a full rock band and vocals, Havens and his ensemble capture The Rolling Stones' distinct sound while presenting some familiar and lots of new musical colors. Tickets are $20 for orchestra seating. Mezzanine and lawn seating are free courtesy of Huntsman. Tickets are not required for free seating. The Pavilion will also hold a pet supply drive at this event with Tiny Paws Rescue and Pure Mutts Animal Sanctuary. The first 500 attendees to donate pet supplies such as food, bedding, leashes, etc., at the community share booth in the North Plaza will receive a voucher to exchange at the Box Office for an upgraded orchestra level ticket to the evening’s performance, a $20 value. Pre-concert activities begin at 7:00 p.m. in the North Plazas. Activities include The Pavilion Partners arts & crafts booth and Instrument Petting Zoo as well as activities by Mercedes Benz of The Woodlands, Visit South Walton, Woodforest National Bank, Renewel by Andersen and Century 21. Preferred parking is available in the on-site Town Center Garage, located along Six Pines Drive. Parking is $10 per vehicle for this and most performing arts events. Tickets for on-site parking can be purchased in advance at all Ticketmaster locations and The Pavilion Box Office. Guests also may park in any of the five free parking lots on the southwest side of The Pavilion. The free, color-coded lots are connected to The Pavilion by corresponding pathways with signs leading across The Waterway.The Cynthia Woods Mitchell Pavilion's 2016 Performing Arts Season is sponsored by Huntsman, Live Nation, Texas Children’s Hospital – The Woodlands, The Wortham Foundation, The Woodlands Development Company, Mercedes Benz of The Woodlands, South Walton, United Airlines, official airline of The Pavilion and The Pavilion Partners. 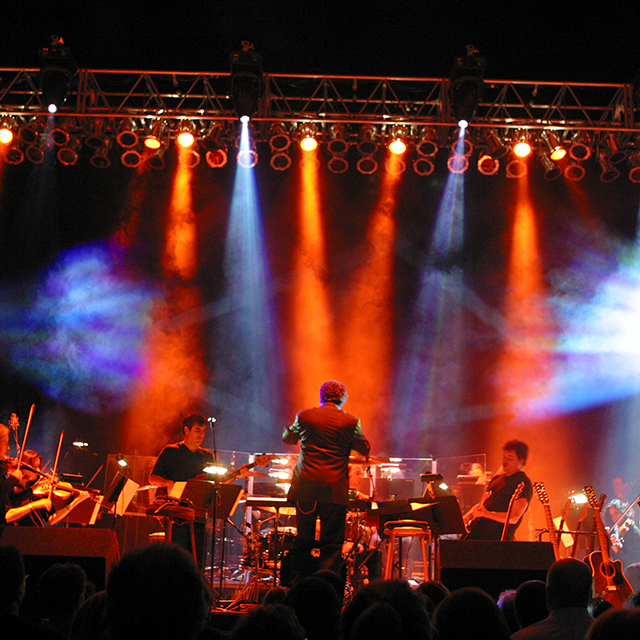 The Cynthia Woods Mitchell Pavilion acknowledges the financial support of The Woodlands Township that is generated by the Event Admissions Tax for its performing arts and educational outreach programs.If you would like more information about The Pavilion, please visit www.woodlandscenter.org. Look for The Pavilion on Facebook, Twitter, YouTube and Instagram, or download The Pavilion’s iOS or Android app.